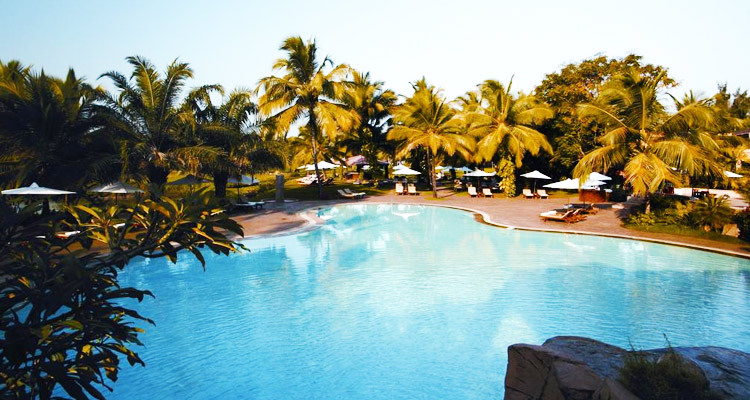 Just a five minute walk from Mobor Beach, The Leela Beach Resort is an impressive beach property located in the vicinity of Mobor Beach, famous for water sports and beach activities. This five star resort has 206 rooms segregated into different categories- The Club Rooms, Lagoon Rooms, Premier Rooms and Suites. Each room is equipped with state of the art amenities such as mini bar, direct dial telephone, LCD TV and internet access. The hotel has 5 amazing restaurants such as Riverside, Susegado, The Restaurant and Yali Lounge. 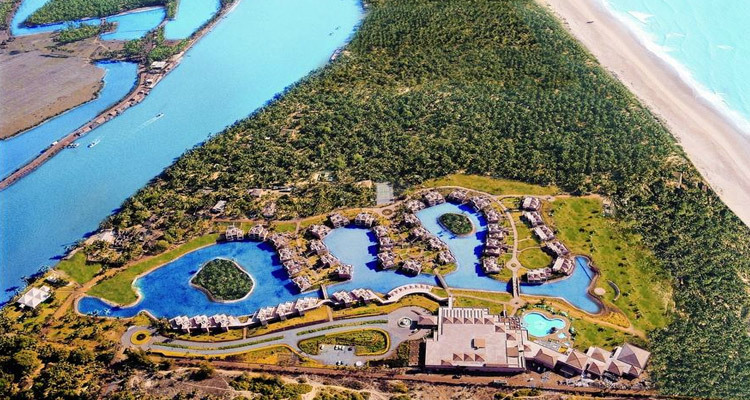 The hotel has a Spa, a lush golf course and a bustling riverfront fishing village. All the 206 rooms are well furnished and are centrally air conditioned. 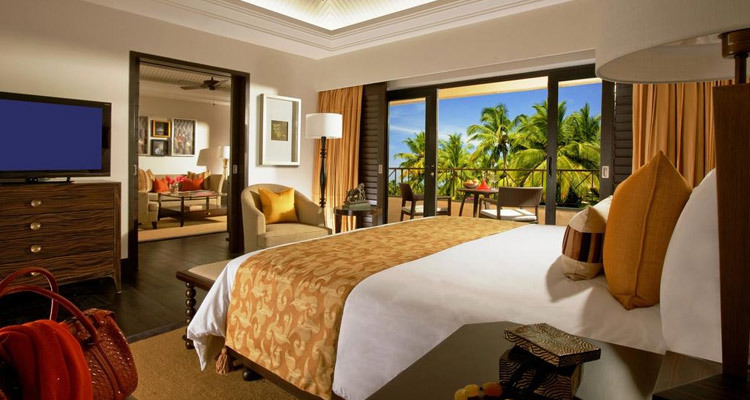 All the rooms overlook the lagoon in all its splendor except the presidential suite which overlooks the ocean. The rooms are equipped with the latest amenities that one can call forth. Wi fi internet connectivity and private balconies are common to all the rooms. The restaurants and bars of The Leela Palace, Goa reflects the different moods and atmosphere of the place. They are exquisitely decorated and offer a wide variety of cuisine. 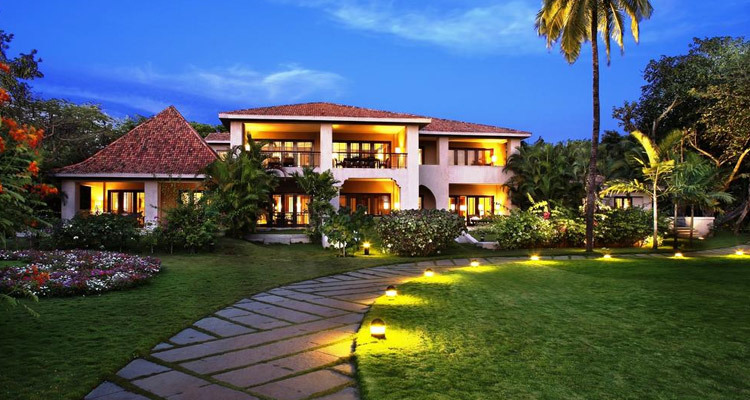 The Leela Palace, Goa is one of the best business hotels in Goa. The conference rooms are equipped with the latest audio visual and automation technology. Aparanta, Hampi, Bidar and Badami are some of the conference halls and banquet rooms in the hotel. Goa is a perfect blend of Hindu and Christian tradition and culture. The many beaches, churches, and temples bear a living testimony to this splendid multi cultural sea side resort. The main revenue of Goa is the thriving tourism industry. The Portuguese connection of Goa is well evident in the cuisine and dialect of Goa.